Home > Tom Barefoot's Tours - FAQ's > Will we see dolphins on the Big Island? You could never say for certain, but yes, it happens a lot. 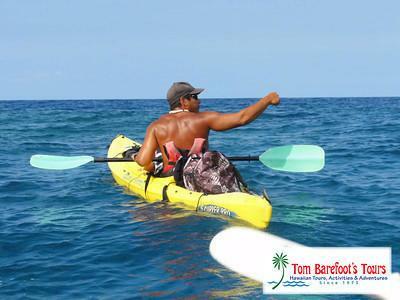 The waters you kayak in off the Big Island are some of the richest in sea life in Hawaii. You're sure to see tons of fish, and probably some turtles, whales in season and hopefully dolphins as well. Some kayak tours also offer cliff diving from the shore to really make it interesting.